Heavy duty rubber stair treads from Sure-Foot are a great way to protect your patrons or employees from slippery surfaces. If you anticipate heavy foot traffic, this mahogany design is a perfect way to provide an anti-slip solution without compromising the appearance of your stairs. Our heavy duty design offers a creative diamond pattern that covers a large portion of the impact area. Sure-Foot Industries is a leading expert in safety and anti-slip flooring products. 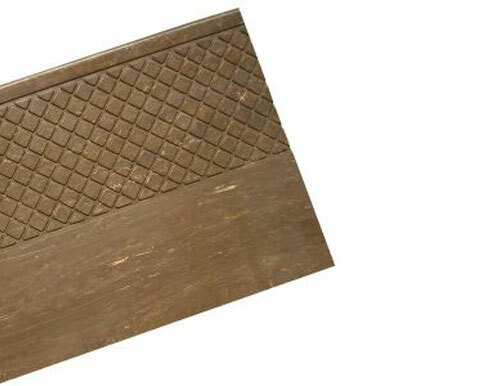 Our heavy duty anti-slip stair treads exceed the ADA recommendations for slip resistance and are manufactured for heavy traffic. Want to learn more about preventing unnecessary slip and fall risks? Contact us or request a product sample today!